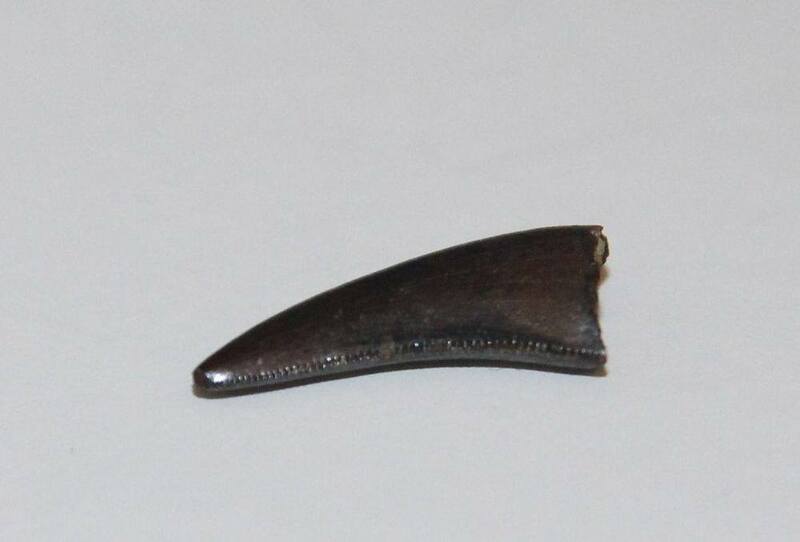 Possibly for it being a dakotaraptor tooth ? 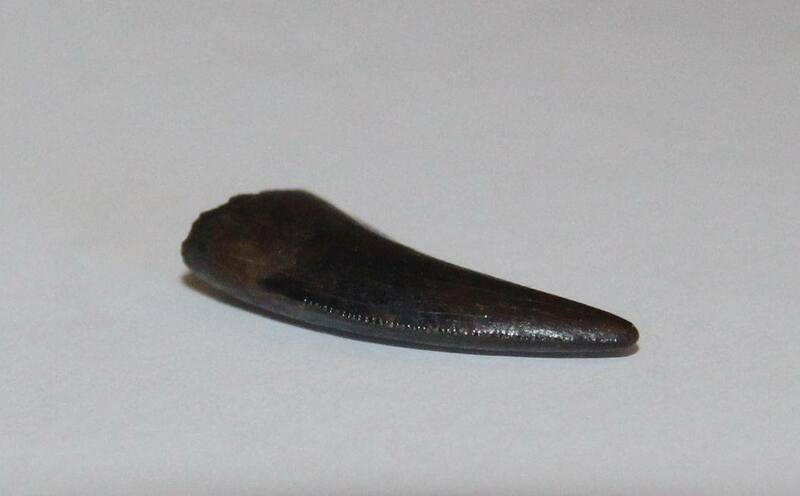 Possibly for it being a dakotaraptor tooth ? 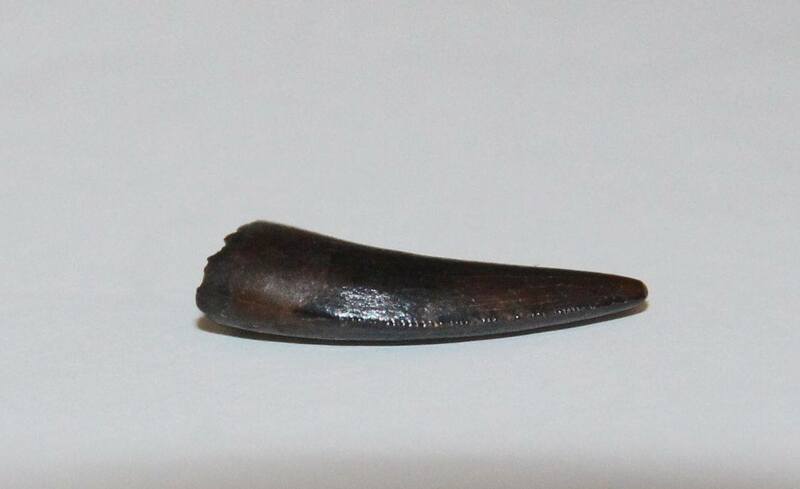 I talked with Walter W. Stein Bill and he said its good candidate for it being a dakotaraptor tooth its size is 3/8 inch and its form hell creek, south dakota I havent receive the tooth so i cant check the serrations of it too. Without a careful examination of the shape of the serrates and serration count on both carinae it's impossible to determine if it's a Nanotyrannus or Dakotaraptor. 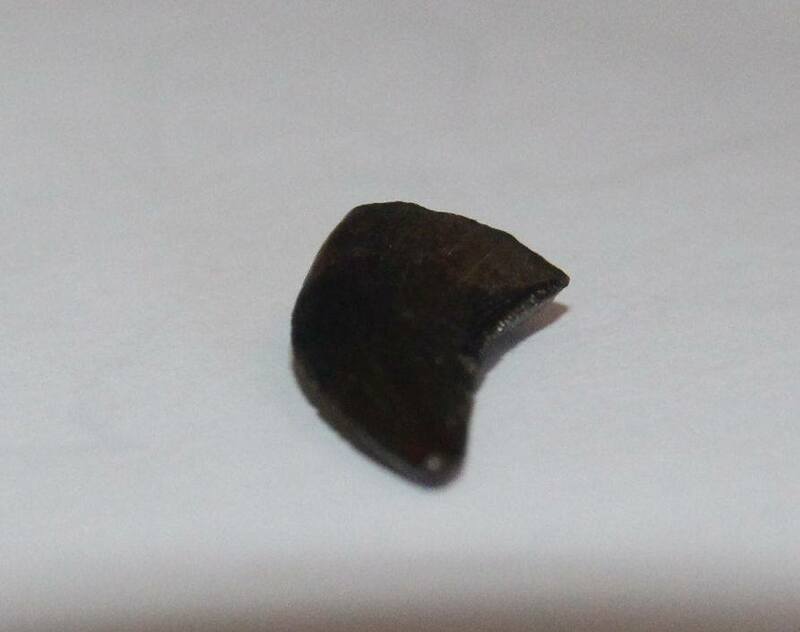 Sellers need to do more to validate a tooth to this species other than just showing pictures of the tooth. At this point what Walter said is correct it's a candidate but these photos are inadequate to draw any conclusion. It's a very nice tooth either way. For those interested in adding one to their collection check this post out first and do not assume the seller is aware of the morphology associated with a Dakotaraptor tooth. 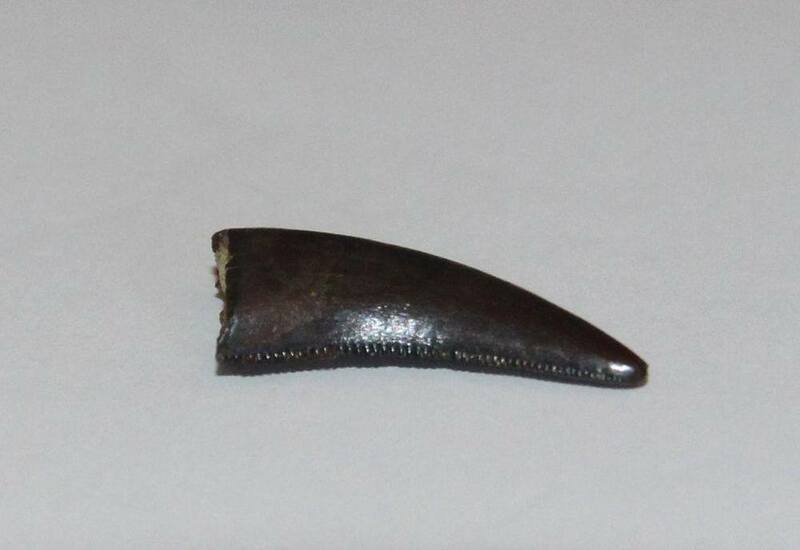 They resemble Nanotyrannus teeth a can easily be confused. Troodon and I have discussed this many times and he and anyone else can correct me if I'm wrong. 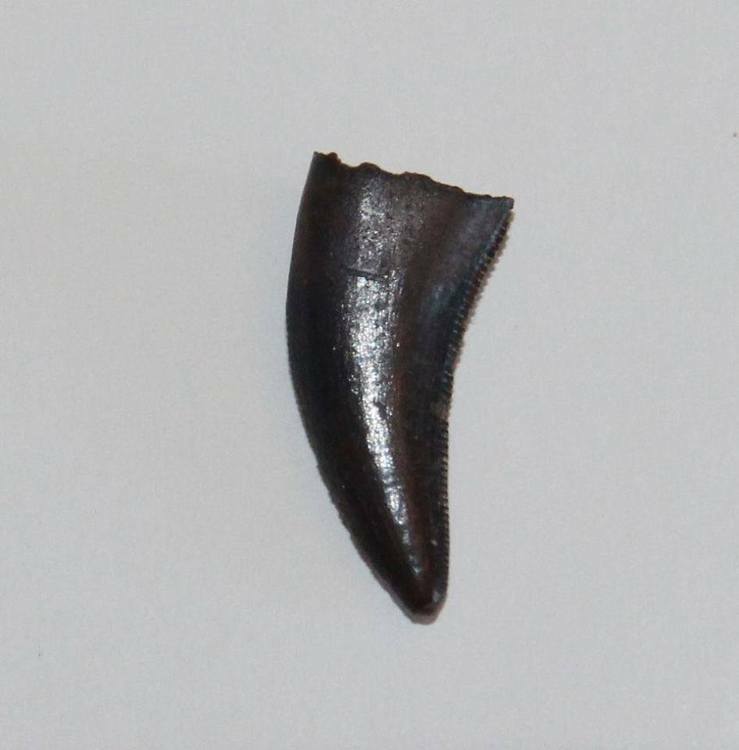 The only true way to confirm whether the tooth belongs to a Nanotyrannus or to a Dakotaraptor is to verify the serrations count and the shape of the serrations. I can't stress that point enough. 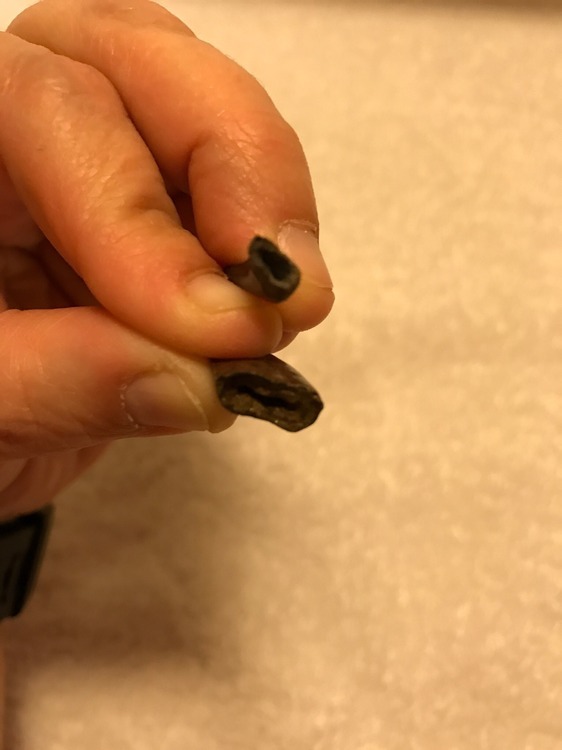 However, if you compare the two teeth of similar sizes side by side, you can see some differences. 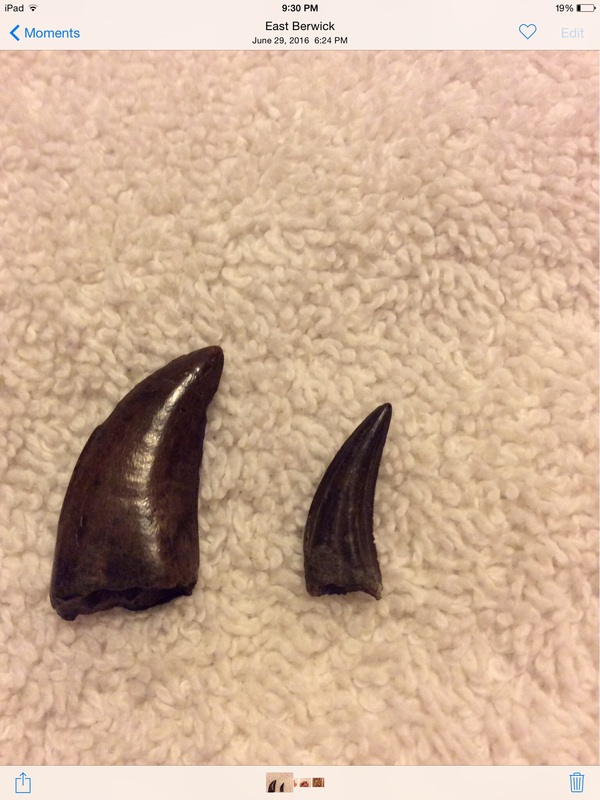 The Dakotaraptor tooth is on the right and Nano on the left. The sizes are 1 inch for the Nano and 7/8 of and inch for the Dakotaraptor. The first thing that stands out is the base width to length ratio. Dakotaraptor ratio being 3:1 and Nano being 2:1. The Dakotaraptor tooth is also much more compressed, both mesial to distal, and labial to lingual. I'm not suggesting that you use this for your final "definitive diagnosis" if you will. That can only come by looking at the serrations. However, it does give a little bit of a comparison.